This 8 hour course is designed for Chiefs Patrol Commanders as well as patrol Supervisors. What are the goals of police patrol? What do we know about the historical policing experiments? What are the most effective deployment schemes and strategies? How do you determine staffing levels? What shift patterns are best? How many supervisors do you need? What should supervisors be doing? What audits and inspections should be done to ensure safety? What is the impact of morale and how do you influence it? This class will prepare you to understand the options available for organizing the patrol function within your department to be most productive and to use your resources to the greatest extent. Our citizens expect the police to be there when they call and our city governments expect us to do so with the least resources possible. Walking that tightrope is always a challenge. Cost is $150 per participant and includes lunch. 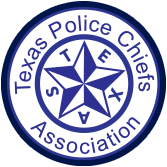 Register and pay online at www.texaspolicechiefs.org. There is a minimum of 25 to hold the class and maximum of 40. All fees after expenses go to support the TPCA Foundation's Fallen Officer Fund.